While most guys aren’t interested in (or won’t confess to using) girly stuff like eye creams and chemical exfoliation, looking after your skin is still important. While I admit, dedicated makeup lines for men might be taking things a little far, proper skincare is a definite must. There’s something about Christmas that evokes images of classic Hollywood and when I think of Christmas makeup, I think of red lips, glitter and sparkles with fresh and glowing skin. Here’s a run-through of the products I used to achieve the festive makeup in this week’s The Look. Back To Basics - Skincare. This week, kids, we’re going back to skincare basics. I’m going to break down your basic skin products and what to look for. As everyone’s skin is different, to try and cover all skins types would be too mammoth a task. The sheer breadth of products out there can be a little confusing, especially in combination with sneaky marketing. So, this time round I’m just going to give some basic information and a few product recommendations for getting good skin. Hello beauty addicts! Today’s post is going to be step-by-step instructions on how to achieve the gorgeous smoky eye from this weeks The Look, right in time for Christmas party season. Its super simple and you only need a couple of products. 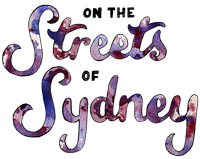 Welcome to the very first beauty post for On The Streets Of Sydney.com! I’d love to take this chance to explain a little about myself, my background and give you at least some reason to believe the beauty advice I’m going to be giving you from now on.